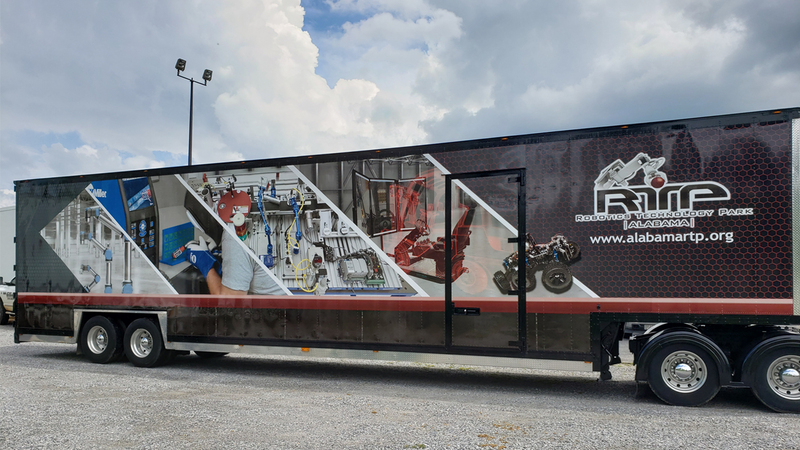 We encourage you to invite parents as well as students to your event, when you request the RTP Mobile Lab Unit. We recommend a maximum of thirty (30) student per class on the trailer and each class is allowed 20-30 minutes. There should be at least one (1) teacher accompanying the students while they are on the trailer.